The World Health Day is celebrated each year marking the foundation of the WHO (World Health Organization). 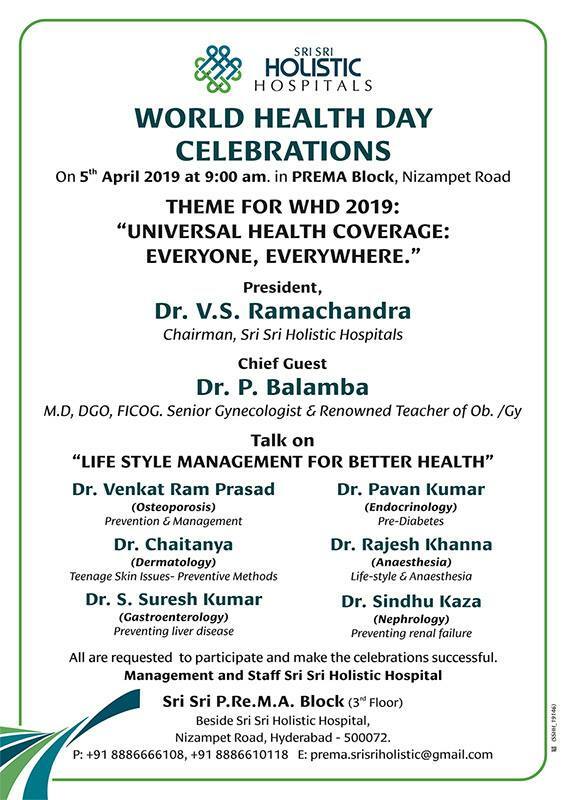 This day is an opportunity for the organisation to draw a worldwide attention and spread awareness on a matter of major importance to global health. This year we have one of the widely searched topics, most read in newspapers, magazines and last but not the least, the most debated topics in global health forms. “Depression”. The WHO estimates that lack of support for people suffering from mental disorders and a fear of how society will judge them prevents many people from accessing clinical treatment that is required to live a healthy and a productive life. Depression ranks the highest in the list of reasons for ill health and affects all ages. It causes mental distress and suffering having a significant impact on an individual’s ability to carry out even the simplest everyday tasks, with unwanted consequences for family and friends. It also lowers the level of confidence in a person to the extent that he/she loses the ability to earn a living. In worst cases, depression can lead to suicidal tendencies and is the second leading cause of death among 15-29-year olds. Depression can be treated and prevented. It is a matter of awareness that it is not something we must ignore. An open minded attitude and understanding of what depression is can help in empathising a person suffering from depression. It also can en -route a path to knowing how it can be treated or prevented. This will contribute to overcoming the stigma associated with depression, and will encourage more people to seek help in time. What can you do if you are feeling depressed? How can you help someone suffering from depression? These are the primary questions that come to our thoughts when we think about curing depression. It is a much-known fact that depression can have various reasons or can have no reason at all. It is a mental imbalance that can take place in any person, regardless of how famous or successful the person is. A very recent case of depression was the B – Town actress Deepika Padukone. Her chat shows and interviews went viral after she proactively took a step ahead to promote the importance of treating depression without any social apprehensions coming in the way. Talk to anyone you trust. Open up and tell them your feelings. Keep yourself as active as you can. Exercise is a real stress buster, even if it’s just a short walk. Stick to healthy eating and sleeping habits. Avoid alcohol intake as it can have adverse effects. If you have suicidal tendencies, contact someone for help immediately. The World Health day 2017 marks an important event for spreading awareness about treatments for depression. We at Sri Sri Holistic Hospital, in Hyderabad, encourage this awareness, for a better living and a longer life span. Our holistic approach works towards improving lives and helping many others to do the same. Remember: Depression can be treated. If you think or feel that you need help, call for help! Dr. Vijayalakshmi Aluri is an allrounder in the medical field with a Post graduation in Obstetrics & Gynecology. In 42 years of her practice she has also authored health education books. She runs an NGO called Centre for Empowerment and Development of Women as a social responsibility, serving about 25,000 women and children.